After making £750,000 out of an illegal streaming service, its owner and operator has been jailed for 5 years and three months. Additionally, all customers of the illegal service infusum.tv have also been put at risk of prosecution. Mr John Haggerty, the owner of Evolution Trading, appeared in Newcastle Crown Court for sentencing after pleading guilty to conspiracy to defraud and dishonestly obtaining services for another, contrary to the Fraud Act. According to FACT, the UK the UK’s leading intellectual property protection organisation, his conviction "further underlines the fact that supplying these devices and other pirate services is illegal." And in a clear message to users of devices, it says that the case is also the "first example of the Courts confirming what the UK Government has already made clear – that using the devices themselves is illegal, with the Judge expressly warning that Mr Haggerty put all his thousands of customers at risk of prosecution." Evolution Trading, run by Mr Haggerty and his wife Mary Gilfillan - who was also convicted of fraud offences in this case and given a two-year suspended sentence - sold more than 8,000 illegal devices that were loaded with add-ons to enable publicans and consumers to view illegal streams of Premier League football. Evolution also created and sold access to its own illegal streaming service – infusum.tv – to thousands of customers. Between March 2013 and July 2015, the operators of Evolution generated more than £750,000 through their illegal activity. The criminal activity carried out by Mr Haggerty went beyond selling access to illegal content: he had multiple passports in different names, set up an offshore ‘dummy company’ in Nevis to hide the true purpose of his business and, in collusion with his wife Ms. Gilfillan, supplied the Immigration Service with false documents to sponsor an Egyptian national who maintained the illegal streaming service for the company. 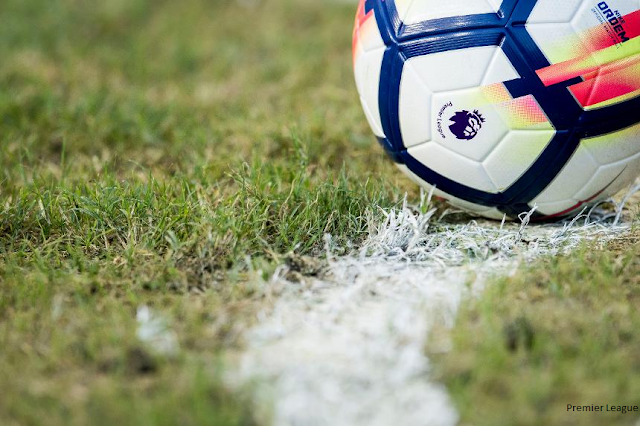 “This case demonstrates how seriously the Courts are dealing with criminals involved in the supply of illicit streaming devices and services that provide illegal access to Premier League football and other popular content. The fact that a major supplier was engaged in so much criminal behaviour – from using multiple passports in different names to lying to the Immigration Service – should be a warning to the authorities and consumers about the types of people involved in this activity. It also serves as a reminder to people that they take huge risks by handing over bank details and personal data to rogue operators like Evolution and infusum.tv. The Premier League is currently engaged in one of the biggest and most successful anti-piracy programmes in the World and its own investigations, along with those by Northumberland Trading Standards and FACT, have helped bring these criminals to justice." “The public should be aware that selling devices or subscriptions that allow access to premium content you normally pay for is illegal. Similarly using one of these methods to stream premium TV, sports and films for which you should have an official subscription is also breaking the law"
Currently, official access to live Premier League matches in the UK is via Sky Sports and BT Sport ...and Amazon from next year.